CINTURA A LED PER BICI BICICLETTA CICLISMO SICUREZZA MULTIFUNZIONE INDICATORE DI DIREZIONE. Operazione facile. Il cinturino a LED è elastico ed è regolabile, adatto a uomini e donne, range da 28,7-46,4 pollici in vita. bici led indicatori di direzione indicatore di frenata. Spedito con Posta raccomandata standard. Tre spie luminose rosse. Ovunque, purché ne senta il bisogno. Ambiente di lavoro: -20 ~ 60 centigrado. "Bici Ricaricabile Girare segnali" BIKE indicatore di direzione" "LED Bike LASER Lane"
LASER CYCLE LANE: Includes two parallel laser lights to create a high visibility cycle lane when cycling at night. Wireless operation with no cables required. There is a red high-visibility LED rear light that can be used as a standard light, a flashing light, or a pulsing light to suit all weather and riding conditions, there are two yellow indicator lights to help you show other vehicles that you intend to turn left or right, and there are two parallel laser lights that allow you to create your own cycling lane and warn drivers to keep a safe distance. As you will see from my YouTube channel, I have reviewed loads of cycling accessories with a particular focus on products that improve bicycle safety. Don't forget that WingLights are designed to be used. WingLights are CYCL's high quality bicycle turn signals - As Seen On BBC's Dragons' Den. These lightweight, durable, waterproof turn signals are easy to install and even easier to use. When removed, the units clip together to form a keyring on a caribiner for safekeeping. CYCL WingLights Mag V3 - Direction Indicators for Bicycles/Bike New 2018 Version AS SEEN ON DRAGONS' DEN. Warning: Not suitable for children under 12 years. For use under adult supervision. Mounters easy to install, Indicators magnetically attach to the mounters, NEW! What are WingLights?. These lightweight, durable, waterproof turn signals are easy to install and even easier to use. Why WingLights?. Battery Life WingLights use 2 x CR2032 batteries per indicator (included), and turn off automatically after 45 seconds -providing riders with up to six months of daily use. 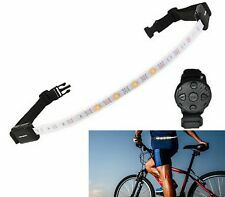 LU2000 LED bici Luci posteriore Indicatore di direzione, spia BICICLETTA. Italie Winglights Mag V3-indicatori di direzione per biciclette/moto NEW 2018. The real color of the item may be slightly different from the pictures shown on website caused by many factors such as brightness of your monitor and light brightness. Color:Black(As Pictures Show). 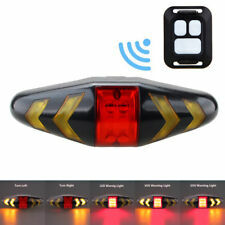 Its directional flashing indicates that night travel safety factor is greatly enhanced. 1 The left turn key: Press the left turn button ,the button indicator flashes, and the rear left turn indicator flashes, and then press the button to turn off the indicator light. 1X(This is New Design and Multi-Function Bicycle Tailight and Turner Light to Bring you Safety Riding When you are ready to make Turn. Give you and others Both Safety. Model: Direction Indicator Taillight. ). High brightness, double color LED, long distance and energy saving LED. design, better effect and long distance reminding when turning direction. Flash models: 3 models(quick flash, always-on, slow flash). The real color of the item may be slightly different from the pictures shown on website caused by many factors such as brightness of your monitor and light brightness. Color:Black(As Pictures Show). LED bulb quantity:64pcs LEDs. 3X(This is New Design and Multi-Function Bicycle Tailight and Turner Light to Bring you Safety Riding When you are ready to make Turn. Give you and others Both Safety. Model: Direction Indicator Taillight. ). 2X(This is New Design and Multi-Function Bicycle Tailight and Turner Light to Bring you Safety Riding When you are ready to make Turn. Give you and others Both Safety. Model: Direction Indicator Taillight. ). 5X(This is New Design and Multi-Function Bicycle Tailight and Turner Light to Bring you Safety Riding When you are ready to make Turn. Give you and others Both Safety. Model: Direction Indicator Taillight. ). This is New Design and Multi-Function Bicycle Tailight and Turner Light to Bring you Safety Riding When you are ready to make Turn. Give you and others Both Safety. Model: Direction Indicator Taillight.